Bob Dylan’s last album Tempest has already become a legend unto itself, both because of its musical qualities and because there was a rumour that it would be his final cut, since it almost shared name with Shakespeare’s last play “The Tempest”. 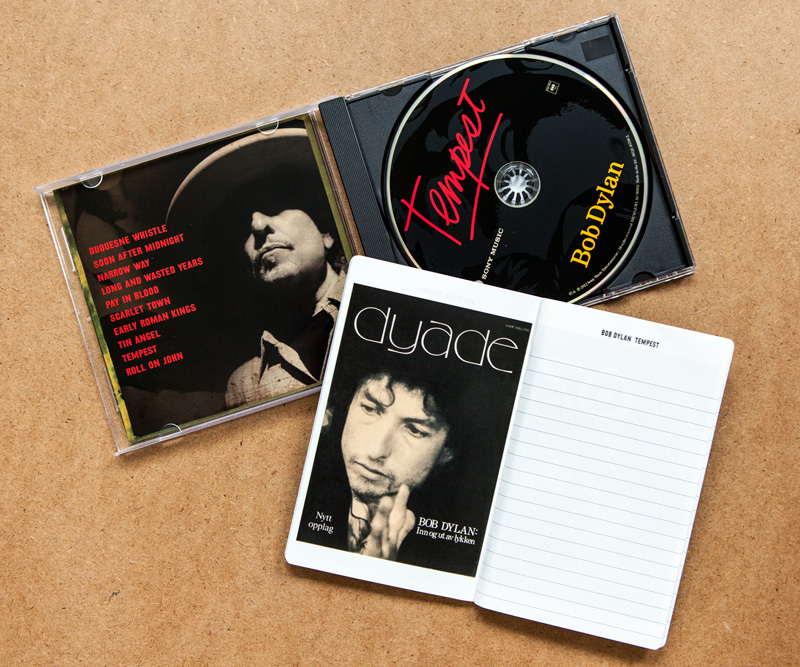 For some of us, one of the interesting things about the album is that the deluxe version of it contains a booklet including an image of the front page of Dyade’s special issue on Bob Dylan from 1979. Dyade is Acem School of Meditation’s quarterly magazine, publishing articles on topics ranging from meditation and psychology to social, cultural and philosophical issues. Unfortunately for some readers of The Meditation Blog it is written in Norwegian. But what’s the problem? After all, we have Google Translate! The author of the old Dyade issue on Dylan is Torbjørn Hobbel, who was (and for all I know still is) an ardent fan and wrote about the Dylan of the 1970s from a very personal angle. He probably didn’t anticipate at the time that 33 years later his product would itself become part of a Dylan album! But the Dyade issue did sell well and was later reprinted to accommodate popular demand!